The Board of Directors of the National Demolition Association will be holding its summer Board of Directors meeting at the Pan Pacific Hotel on Vancouver’s beautiful waterfront, June 6-7. Among the items to be discussed will be the 2014/15 fiscal year budget, the progress made on the NDA’s Education Initiative and the recent upgrades to the NDA’s website. NDA President Jeff Kroeker of Fresno, California, encourages all NDA members and potential members to attend this important meeting and participate in the governance of the industry’s association. Join the Product Stewardship Institute and the Connecticut Department of Energy and Environment at the CT DEEP Headquarters as we explore current regional and national issues affecting carpet recycling (e.g., high costs, changing material streams, lack of end-markets), and how carpet stewardship policy could play a role in resolving those issues. You told us that you wanted the NDA website to be more user-friendly and we listened. We have worked hard to build a website that works for you. The site navigation has been streamlined, making sure that no information is more than three clicks away. Let us show you around. As we receive your feedback, we will continue to improve and expand the new website. 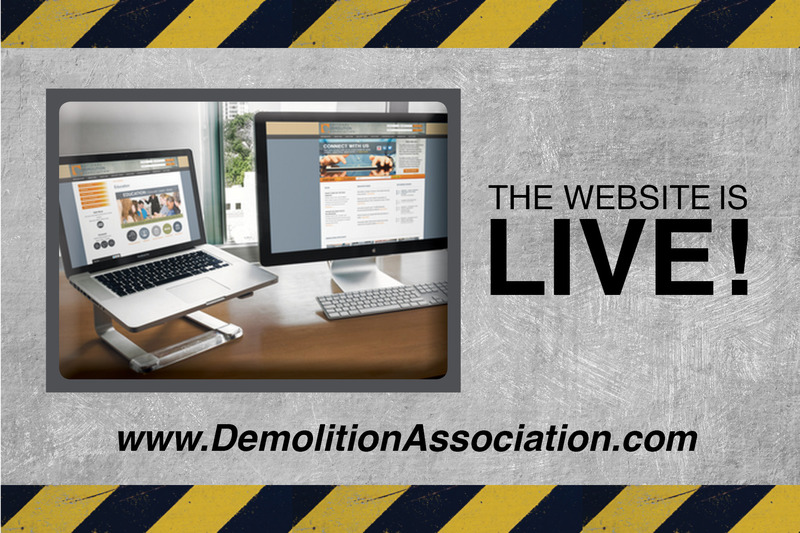 Please let us know what you think at info@demolitionassociation.com. Mark Lies, Labor and Employment Attorney and Partner at Seyfarth Shaw, will present a two-part webinar program for employers facing the daunting task of complying with OSHA's numerous federal and state occupational safety and health standards and regulations. The webinar will be held on May 15 from 2-3 p.m. ET. The price for this webinar is $35 for members and $45 for nonmembers. Are you still paying for refrigerant recovery? We can turn refrigerant recovery into a profit point for your projects. We are an engineering based company focused on serving the Southeast US, and have been dealing with refrigerants and industrial gases since 1978. More than 63,000 bridges across the United States are in urgent need of repair, with most of the aging, structurally compromised structures part of the interstate highway system, an analysis of recent federal data has found. The report by the American Road and Transportation Builders Association, warned that the dangerous bridges are used some 250 million times a day by trucks, school buses, passenger cars and other vehicles. U.S. Transportation Secretary Anthony Foxx unveiled a long-term transportation bill he is sending to Congress for consideration as the House and Senate face looming deadlines to avoid the economic uncertainty and job loss that would ensue if the Highway Trust Fund runs out of money this summer. The GROW AMERICA Act reflects President Barack Obama's vision for a four-year surface transportation reauthorization bill. Getting paid in the construction industry is a mess. Construction contracts are riddled with confusing provisions like pay-when-paid clauses or joint check requirements. Yet companies can maintain a degree of control over their receivables and cash flow by implementing and committing to intelligent collection policies. These are the actions and procedures used by a company to collect on an unpaid account. This article examines some elements of these collection policies to help your company create or improve on its own policies. Surviving a tornado in a wood-frame residential home is enhanced by an intact roof and standing walls, but light-weight garage doors can be the weak link to allowing high winds and pressure changes into a home that can lead to the removal of the roof and collapsed walls, according to a study of damage left behind by a powerful tornado in Moore, Oklahoma, in 2013 by researchers from The University of Alabama and other institutions. U.S. Transportation Secretary Anthony Foxx unveiled a long-term transportation bill he is sending to Congress for consideration. The article shows one of the most beautiful bridge demolitions ever. You can only see the final nudge that broke the bridge’s back, but you can assume some very careful weakening of the structure had to have preceded it. We have a feeling that after seeing this, equipment operators everywhere are going to try to get their hands on their own 8.1-ton Jenga set. According to analysts with Great American Group Inc., a leading provider of asset disposition, valuation and appraisal services, the building materials industry experienced a trying first quarter due to harsh weather conditions, particularly in the Northeast and Midwest. After a strong fourth quarter in 2013, difficult building conditions marred the first months of 2014. However, although somewhat stagnant, the industry shows no signs of a significant retreat from the gains achieved to close out 2013. In this contemporary world, technological advancements and concerns about environmental conservation have given rise to the establishment of many green companies. Although broadly defined, a green company is one that acts in a manner that will minimize damage to the environment. Although there are a variety of wonderful construction companies that have adopted a green philosophy, several stand out as particularly impressive. This article lists five green construction companies that can easily be considered the best in the industry.